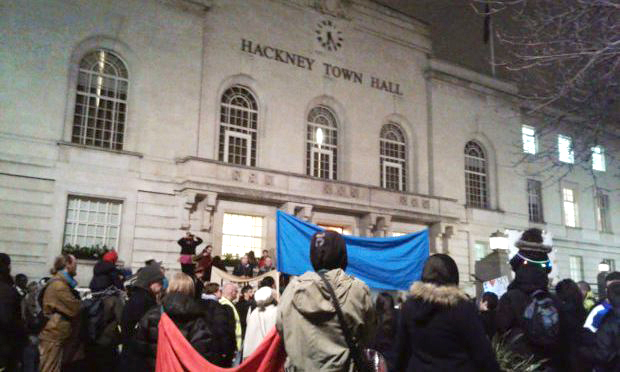 Scores of children held a rally outside Hackney Town Hall last night protesting changes to funding for special education needs. 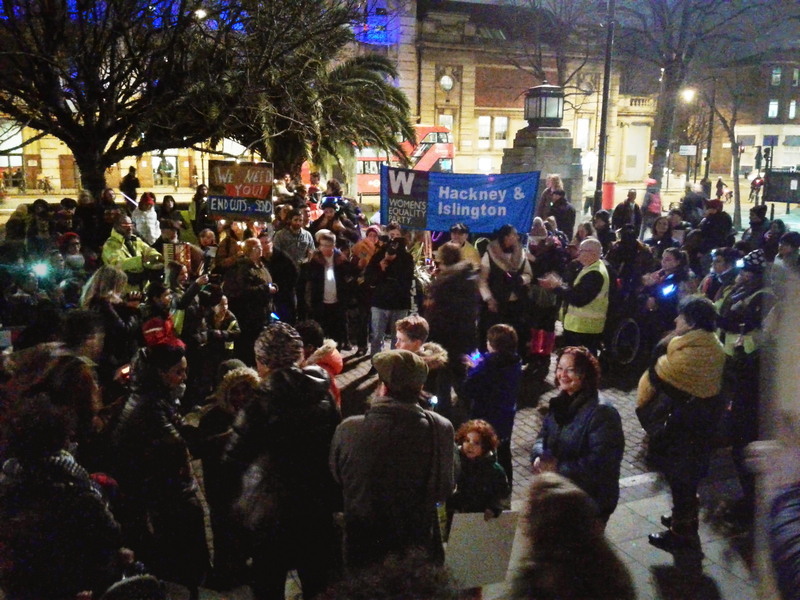 The children were joined by residents and campaigners from the National Union of Teachers and the Women’s Equality Party for a huge “torchlight” rally with glowsticks and whistles. They were demanding the council reverse its decision to cut high needs funding for Special Education Needs and Disability (SEND). The council has said the cuts are needed to plug a £6 million shortfall in council finances after government cuts to local budgets. However, the council has shelved plans to make other changes to SEND’s “funding model” after a public consultation drew outcry from worried parents. Last night’s protest came as parent Lisa Kelleher made a deputation to full council about the impact of SEND funding on the borough’s children. She thanked the council for deciding to review the changes to the funding model. But she added: “We’re very concerned about the five per cent cuts that are planned to come in April. Kelleher, whose daughters rely on SEND support, called on the council to “take a more long-term strategic view” to SEND in the borough. Cllr Anntoinette Bramble, Deputy Mayor of Hackney, thanked the parents for their deputation and noted the protest outside. She said: “I understand your concerns. SEND across London is in a state of crisis. We are in a position here that we do not want to be in. Cllr Bramble offered to work together with parents in “co-production” to work out how best to manage the SEND cuts. She said: “The budget envelope doesn’t change.